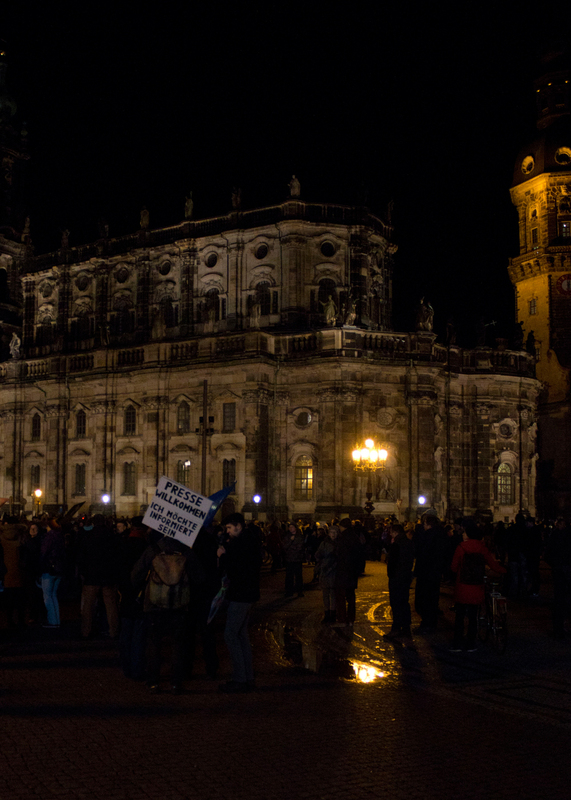 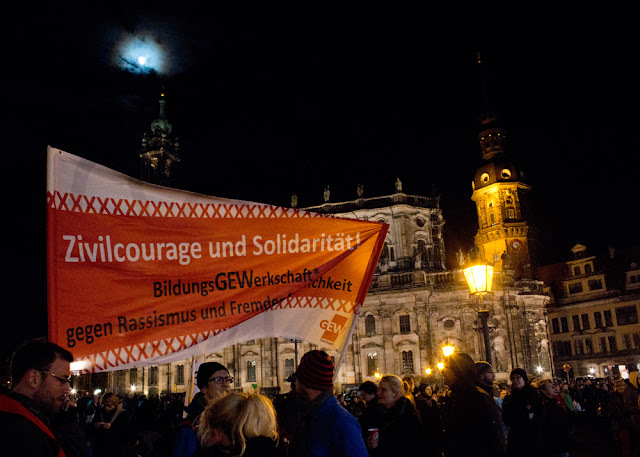 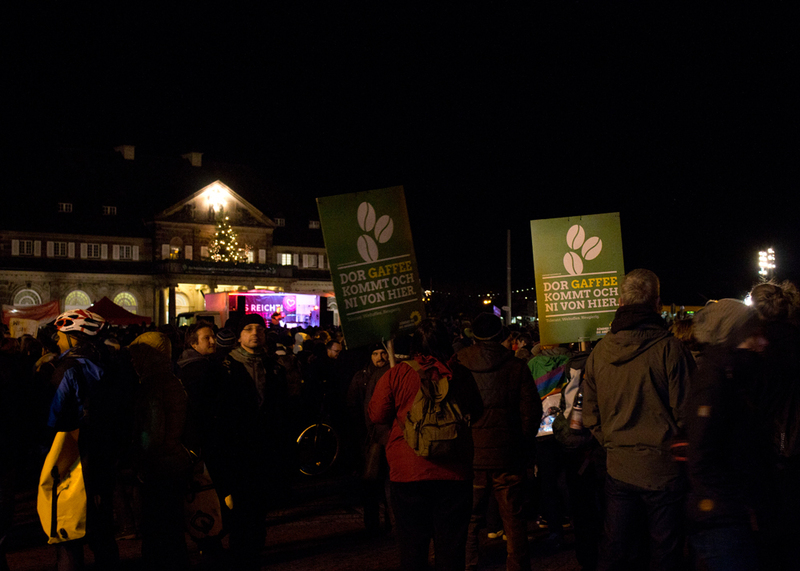 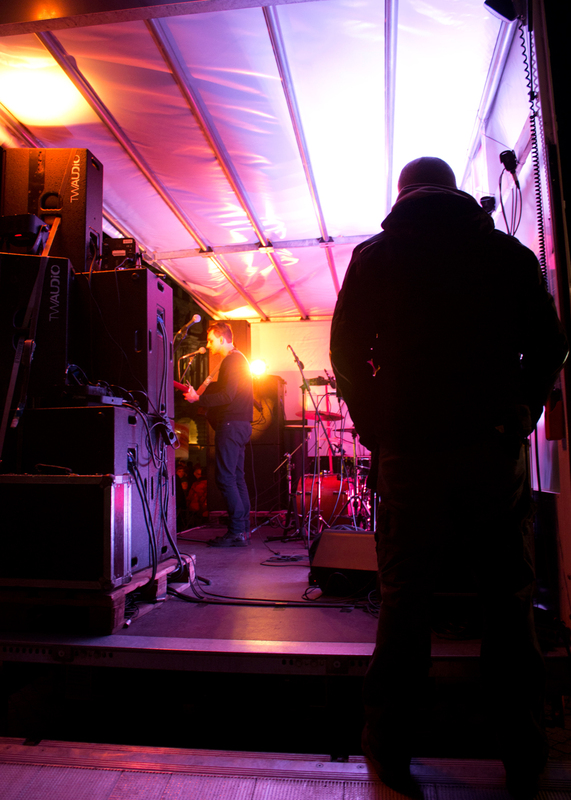 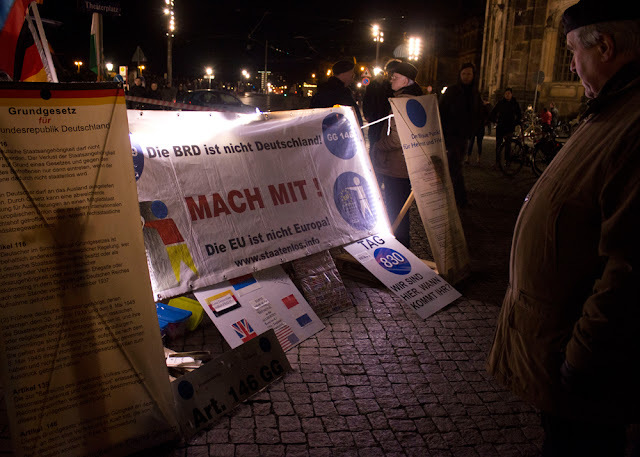 Some days ago thousands of people demonstrated against the organization and demonstration of PEGIDA. 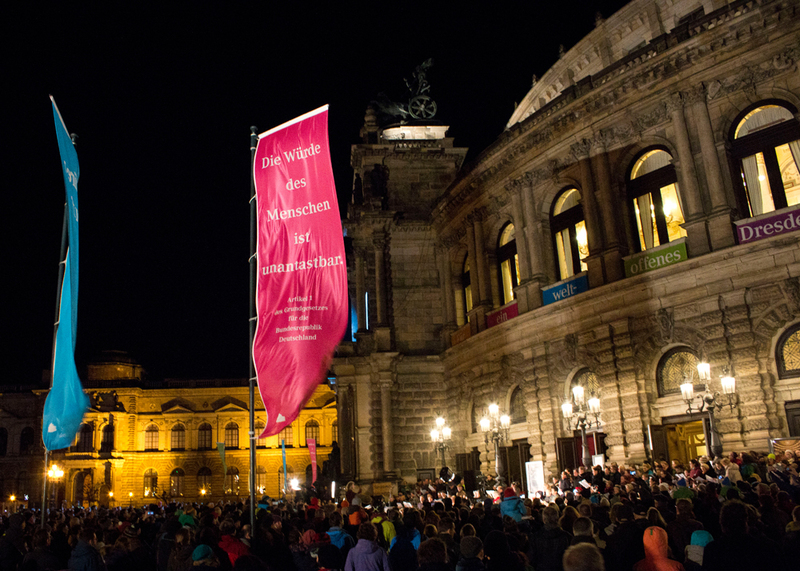 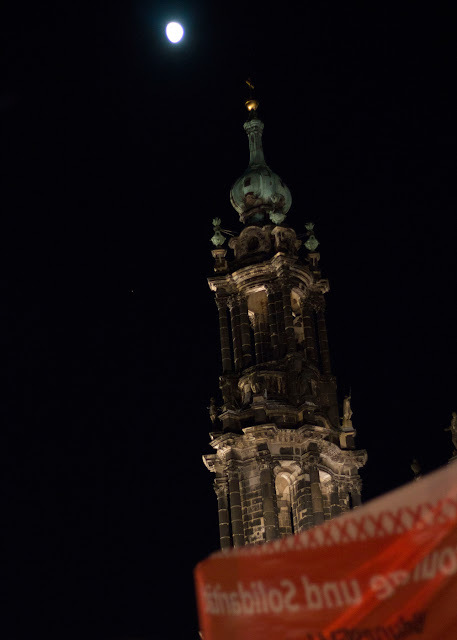 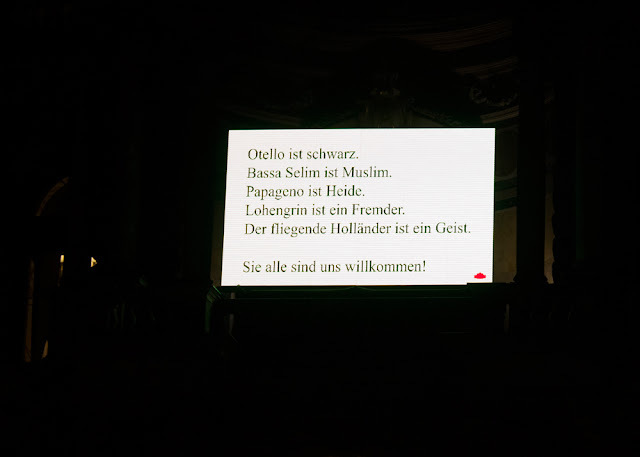 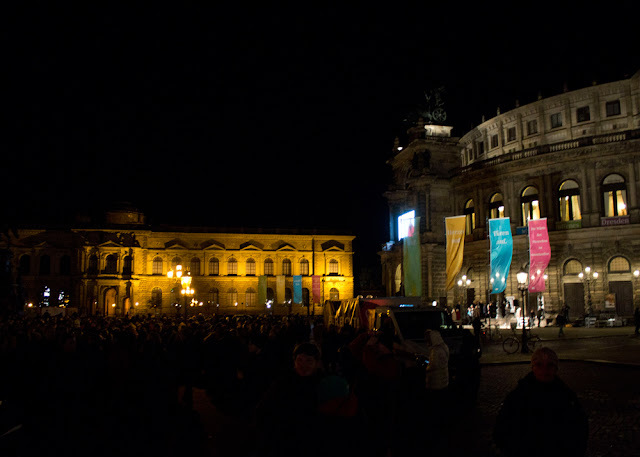 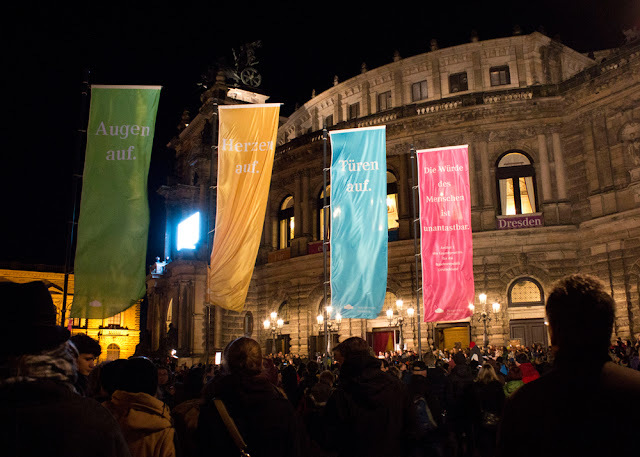 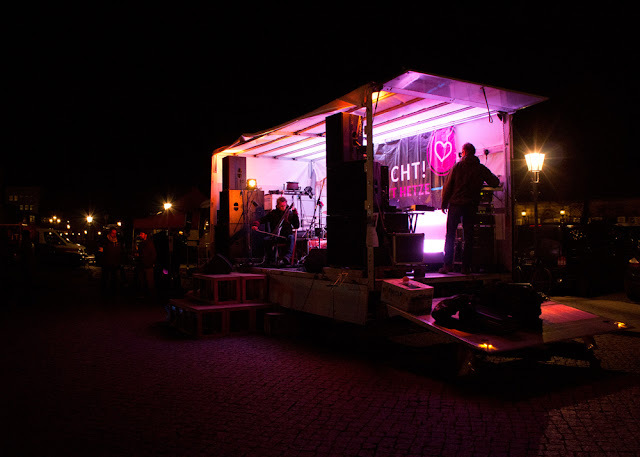 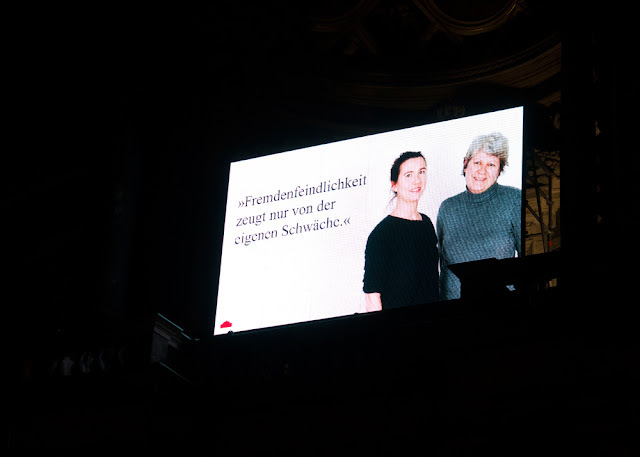 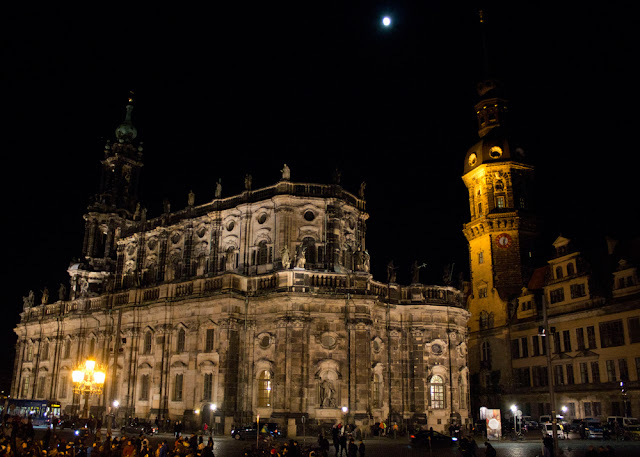 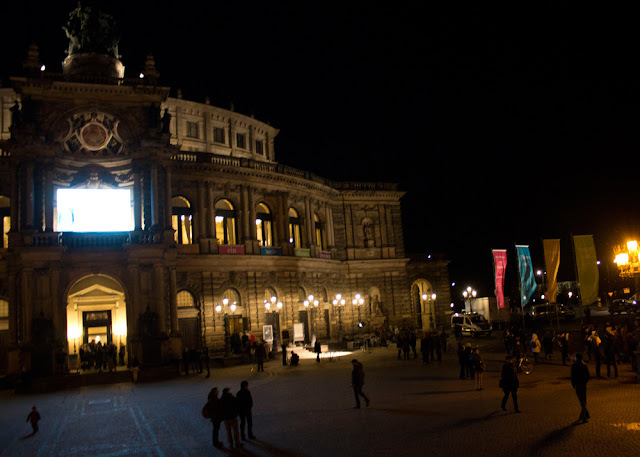 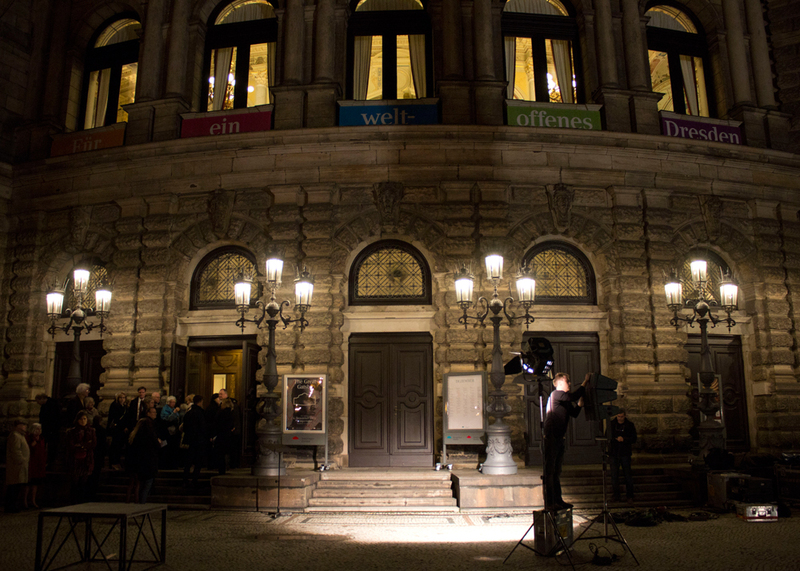 It was a peaceful event in front of the Semperoper with a musical program: the opera choir did its best with "Ode to joy" and different artists presented themselves on a mobile stage. 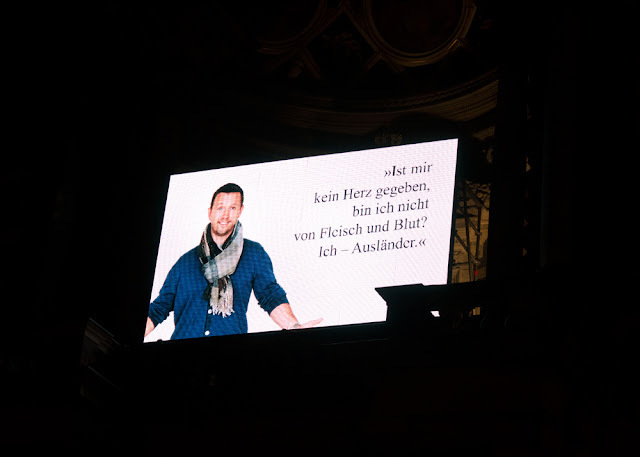 The Theatre showed its solidarity with different and strong statements on a screen. 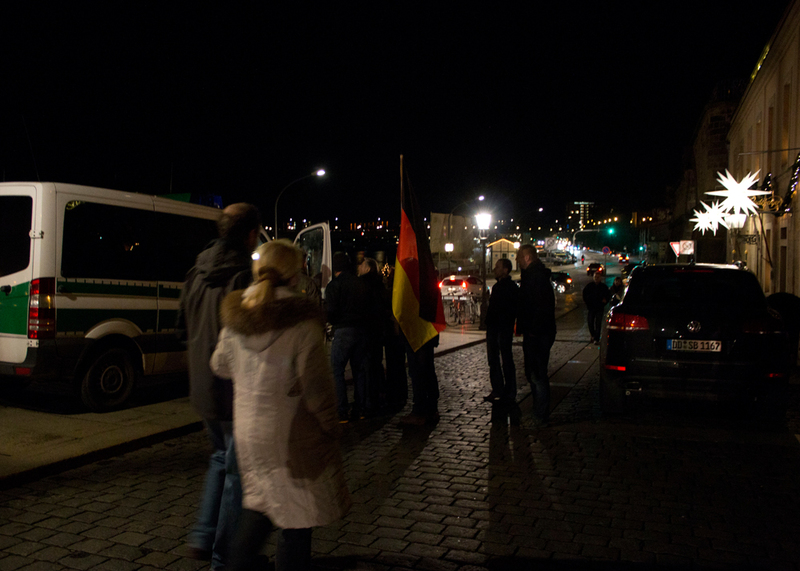 Just when we were leaving we witnessed some PEGIDA-followers trying to enter the Anti-demo area, probably in order to provoke the crowd. 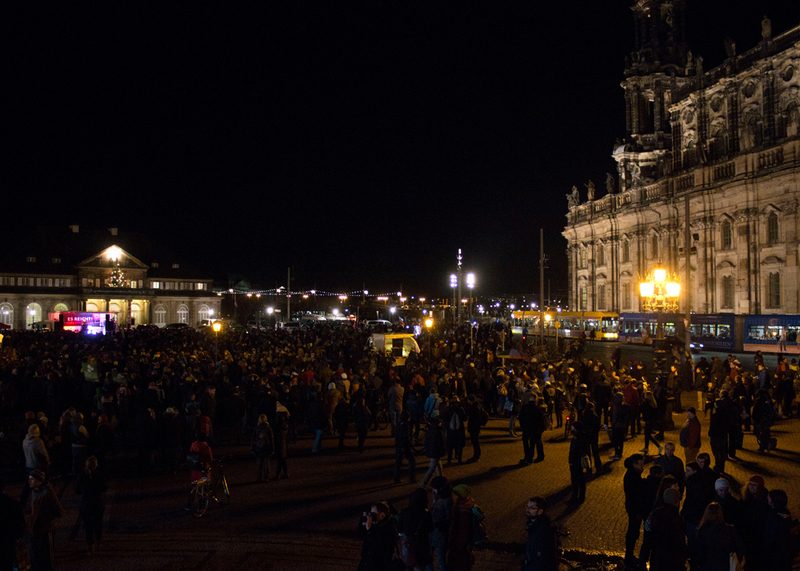 Thanks to the police they had to choose another way and any conflicts were avoided.